Luke McCallin’s second installment of his Gregor Reinhardt series is as compelling and nuanced as his first, THE MAN FROM BERLIN. Two years later, THE PALE HOUSE, finds Reinhardt reassigned from the Abwher, German intelligence to the Feldjaegerkorps, a new branch of the military police with far reaching powers. The assignment came about following a failed attempt on Hitler’s life that brought a severe crackdown and purge against anyone suspected of having questionable loyalty to the Fuhrer. Reinhardt had surreptitious links to the German resistance and was worried about his friends and allies. McCallin creates an unimaginable plot that will place Reinhardt in situations that will call on him to dig deep within himself to survive. In late March, 1945, near Sarajevo, among rumors of deserters Reinhardt comes across a massacre of civilians. Along with a colleague, Lt. Max Benfeld, Reinhardt investigates the site as a crime scene employing what remained of his past police skills. After examining the bodies and other evidence he concludes that what occurred was perpetrated by the Ustase, a Croatian fascist ultranationalist party. Reinhardt locates three survivors and crosses an Ustase checkpoint and brings them to Sarajevo to try and save their lives. Reinhardt becomes obsessed with the massacre and he begins to wonder if murder was the norm and acceptable behavior in the city as it was surrounded more and more by communist partisans. As the Germans slowly withdrew north the Ustase wanted to control what remained of Croatia, but they were riddled by different factions with their own agendas. It was a world dominated by the likes of Vjekoslav Lubaric, the head of the Sarajevo Ustase and Ante Putkovic, who used dice to determine the innocence or guilt of his prisoners. The Ustase were not an effective fighting force, but were excellent at mass killing. Reinhardt’s investigation has many threads. As he tries to bring some semblance of reason to his work he encounters a number of interesting characters. War Crimes Division jurist, Major Marcus Dreyer, an old friend from the First World War and post war Berlin asks for his help in his own investigation. It seems that Dreyer suspects German Major Edwin Jansky of a number of illegalities as he is in charge of a Penal Battalion made up of condemned men from all over the Balkans. It is accepted that Jansky and his men are corrupt and taking advantage of the chaos in the region to rob it blind. However, Dreyer believes that Jansky and his men may have something to do with the earlier massacre and a number of other murders. It seems that death becomes Reinhardt’s specialty. Summoned to an ambush site of dead German soldiers, he finds another five mutilated bodies that were not meant to be found. As in THE MAN FROM BERLIN Reinhardt has to deal with jurisdictional issues, but in the present situation they lead to greater personal danger for himself and those around him. Throughout the dialogue McCallin provides a number of asides that fills the reader in with information about Reinhardt’s past. By doing so we see the further evolution of Reinhardt’s character and moral code as well as how his personal tragedies have affected him. The mutilated bodies become the axle on which the novel spins as Reinhardt once again has to rely on allies that previously might be considered enemies. As the story unfolds these allies are somewhat surprising, Suzana Vukic, whose daughter, a Croatian nationalist journalist had been killed, the communist partisan leader, known as Valter, Vladimir Peric, and Alexious, a Greek soldier of fortune trying to save his family. As McCallin has Reinhardt deal with these relationships he is able to convey the horrors perpetuated by the Ustase as the war begins to wind down. 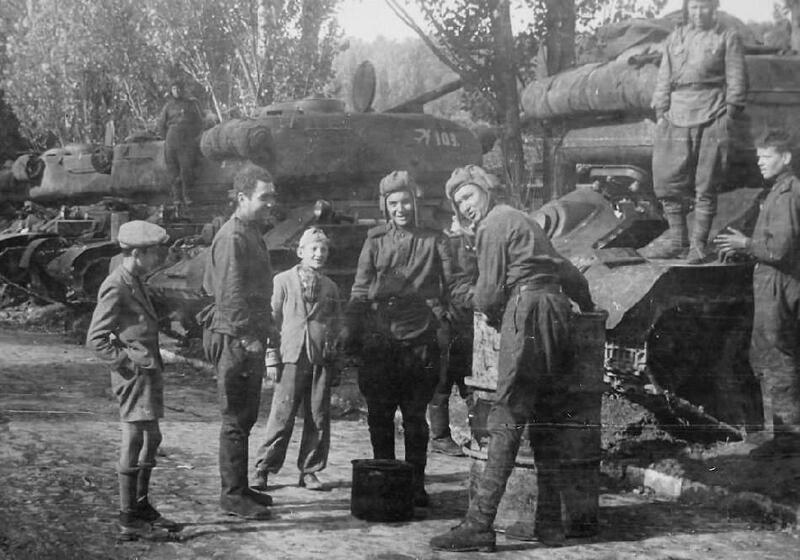 All the Germans seemed to care about was the withdrawal of as many troops as possible and were not concerned with the actions of their former allies, except for Reinhardt and a few others. But, is Reinhardt reading the situation correctly, is it the Ustase or perhaps rogue Germans with links high up the chain of command? As the plot broadens Reinhardt is trying to link the massacres of civilians, the murder of German soldiers, and the corruption that seems to exist everywhere. McCallin creates a web of deceit that is hard to fathom and the conclusions that Reinhardt reaches are difficult to predict as is the final act in the drama that unfolds. Once again, McCallin leaves an opening with his final paragraph that will be continued in his recently released third installment, THE DIVIDED CITY. If one could turn the clock back to the 1990s when men like Slobodan Milosovic and places like Srebrenica were in the news they would recall the horror that they felt. People could not fathom what the Serbs, Croats, and Muslims hoped to gain from all the violence, particularly since the origins of the conflict go back at least to the 4th century AD with the creation of the Byzantine Empire. The events of World War II are also part of the Balkan puzzle that we still grapple with today that are displayed in a very thoughtful and chilling manner in Luke McCallin’s novel THE MAN FROM BERLIN. The war forms the backdrop for the fight between the Ustase, Serb nationalists, and partisan forces as they struggle for the soul of postwar Yugoslavia. On his third tour of Yugoslavia during World War II, Abwher Captain Gregor Reinhardt finds himself recovering from a drinking binge the night before when he summoned to report to Major Ulrich Freilinger to investigate the murder of an intelligence colleague, and a woman he was with. A number of problems immediately emerge, one, Reinhardt has not worked a murder case in over four years, and second, the Sarajevo Police Inspector Putkovic claimed his department had jurisdiction in the case, in addition it appeared that the policeman put in charge, Inspector Andro Padelin a member of the Ustase, was a racist and anti-Semite and cared only in solving the crime against Maija Vukic. Vukic was a well-known film maker and journalist who was a fervent supporter of a Croatian state and freedom from the Serbs. The fact she had once danced with Reinhardt at a Nazi Party function did not detract from his main goal of locating the killer of Stefan Hendel, the Abwher agent. There are numerous candidates for the murderer. Was the individual a Chetnik, a Slavic Nationalistic guerilla force; an Ustase, Croatian fascist; a Yugoslav Royalist; or a member of the partisans under Jozip Broz Tito; or perhaps someone else? Reinhardt not only has to navigate these groups but there are also SS fanatics and some who want to get rid of Hitler on the German side. With so many contending groups fighting for control in the Balkans McCallin does a nice job conveying the contentious atmosphere that existed in Yugoslavia that permeates the novel. What is clear is that the politics of the Balkans throughout the war was byzantine and extreme. The characters that McCallin creates are unique and at times very difficult to comprehend. They are people with principles or are they confused or in fact traitors. Whatever the truth may be the reader will develop respect for certain individuals and scorn for others. McCallin’s characters are indeed fascinating, among them are Dr. Muamor Begovic, a medical examiner for the Sarajevo police, but also a communist partisan. Major Becker, a nasty and sadistic individual who is second in command of the Feldgendarmerie or military police and a former Berlin Kripo detective with Reinhardt. Captain Hans Thallberg, an officer in the Geheime Feldpolizi (Secret Police) who admires Reinhardt and tries to assist him. Inspector Andro Padelin of the Sarajevo police or Ustase, ordered to work with Reinhardt. General Paul Verhein, the German commander 121st Jager, whose life journey and loyalties are hard to imagine. Among these individuals McCallin introduces many people from Reinhardt’s past. His wife Caroline, son Friedrich, Rudolph Brauer, his best friend, and Colonel Thomas Meissner, his mentor that provide insight into these person Reinhardt will become. Reinhardt was a man who loved his country, but hated what it had become. He treasured the friends he made in the army, but grew to hate the uniform they wore. After the 1936 Olympics, Kripo, the Berlin police were integrated into the Gestapo and Reinhardt had refused to join. He was posted to Interpol because the Nazis needed his aura of professionalism and his solid reputation. Once it became clear he was working to perpetuate Nazism he became conflicted because he needed the money to pay for his wife’s medical treatments before she died. Colonel Meissner would step in and gets him transferred to the Abwher, German intelligence, which reflects what a flawed and conflicted man he was. It is as an Abwher agent that McCallin develops Reinhardt’s character and the story that forms the core of the novel. As McCallin spins his tale it is a searing ride with a conclusion that is nuanced and compelling. It is a plot that should rivet the reader to each page, and fortunately the author brings his story to an ending in such a manner that he leaves enough room to create a sequel entitled, THE PALE HOUSE. For those that are familiar with the work of Martin Cruz Smith the author of GORKY PARK, STALIN’S GHOST, TATIANA, among others, his latest effort, THE GIRL FROM VENICE should prove very satisfying. The novel is centered in Venice in the small fishing village of Pellestrina. One evening during the spring, 1945, Innocenzo Vianello, a poor fisherman is watching allied planes pass overhead on their way to rain havoc on Turin, Milan, or Verona, as he tries to secure his catch, when he notices a body floating in the water. The body turns out to be a survivor of a Nazi SS raid on San Clemente, a mental institution. The survivor is Giulia Silber, from a wealthy Jewish family, whose parents, aunts and uncles, in addition to many others have been seized by the Nazis and are presumed dead. Cenzo, against his better judgement rescues the girl and immediately is confronted by an SS boat in a lagoon. It seems the SS is looking for the escaped Jewess. Cenzo hides the girl and an incident will occur that makes him as much of a target as Giulia. Smith’s writing is very clear and he does a remarkable job developing the relationship between Cenzo and Giulia, from teaching her to be a fisherman, how to enunciate as not to appear upper class, friendship, and finally falling in love. For Cenzo thinking about his own miseries pale in comparison to what Giulia has been through and he becomes very protective of her. They are both in a quandary as to how to proceed when Cenzo’s friend, Eusebio Russo, who was a smuggler, arranged to take Giulia north and turn her over to Communist partisan to allow her to escape. However, at this point Cenzo and Giulia realize they might mean more to each other than they thought. As the novel progresses the reader will come across a number of interesting characters. There is Cenzo’s brother Giorgio a famous actor and follower of Mussolini who he is estranged from. Nido, the owner of a bar in Pellestrina, who along with his good friend Cenzo oppose the war after their experiences fighting against Haile Selassie’s forces in Abyssinia. Colonel Steiner, a Nazi officer that may have turned against Hitler. Steiner claims he needs to locate Giulia as she is the only witness to what happened at San Clemente when Steiner’s conduit to the Americans disappeared, Vittorio Silber, Giulia’s father. The catch is Steiner wants Cenzo to work with his brother to find her. Maria Paz Rodriguez, the wife of the former Argentine Counsel in in Salo, the capitol of the remainder of the Italian Socialist State. Paz is an interesting character as she is an excellent forger for both Jews and Germans who are fleeing. Otto Klein, supposedly a neutral Swiss filmmaker, but he has ties to the black market, Joseph Goebbles, and seems to want to bring down the Germans. Farina, an Italian Fascist who cannot understand that the war is lost. Lastly, Dante, the partisan leader whose loyalty is to communism. There is a Kafkaesque quality to the story. As the war winds down everyone thinks it is almost over and they begin to contemplate their lives once hostilities will come to a close. 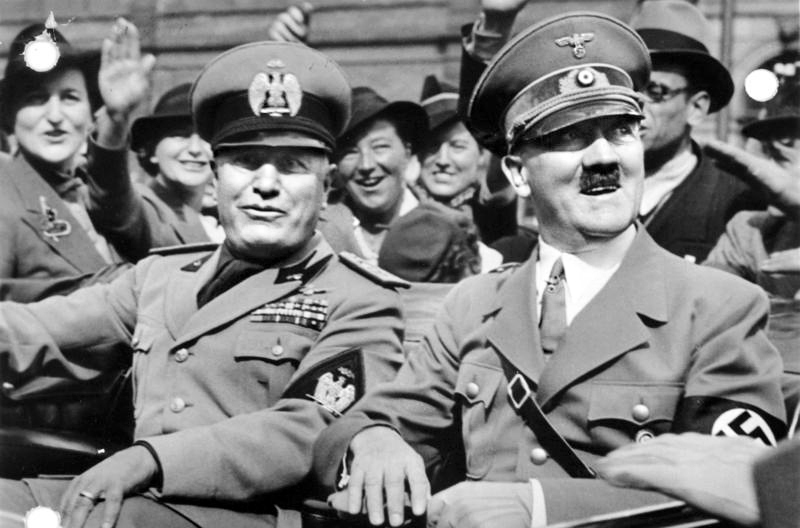 They wonder who will be in charge and most conclude the Germans will just leave, but Italian fascists and partisans will battle for Italy’s soul. Smith provides unique insights into society in the “capitol,” Salo. The nerves of the people are being shredded as they worry about who they will be able to trust. Cenzo will undergo a remarkable transformation as he tries to find Giulia and has to deal with his brother Georgio, but also has nightmares over the death of his younger brother Hugo, who had been killed by an American pilot the year before. The novel has an undercurrent that pervades each page as Cenzo, also a talented artist had painted a picture of the scene where his brother Hugo had been killed. The problem is that Cenzo is transfixed by what he has created, and it takes him almost to the end of the story to finally understand what his unconscious was telling him. The novel itself is an indictment of Mussolini’s regime and the marionettes that followed him. Smith’s dialogue reeks of sarcasm as he points to the weaknesses and incompetence of Italian fascism. Il Duce is a comic figure, however the story that he is a part of is not. Martin Cruz Smith’s new book is worth engaging and I recommend you take a few hours, get comfortable with a glass of wine, and enjoy-it will be bellissimo! Last Monday the University of Southern California and Penn State University met in one of the most thrilling Rose Bowl games in history with the Trojans winning on a last second field goal 52-49. Before the game, in keeping with the remembrance of the 75th anniversary of the Pearl Harbor attack, one remaining player from the 1942 Rose Bowl, and survivors of December 7, 1941 were honored. In the wake of the attack the game was moved from Pasadena to Durham, NC. Oregon State University, the underdog, played Duke University and the Blue Devil campus opened its arms to their opponents who had to travel across America by train in the wake of the Japanese action. 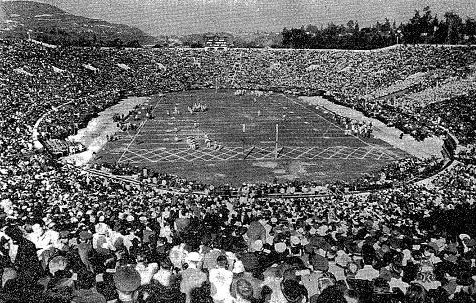 As players practiced for the game British Prime Minister Winston Churchill and President Franklin D. Roosevelt met to discuss preparations for war, and allied strategy that would greatly impact these Rose Bowl participants. Brian Curtis’ new Book, FIELDS OF BATTLE: PEARL HARBOR, THE ROSE BOWL, AND THE BOYS THAT WENT TO WAR catalogues a little known slice of American history describing what took place on the grid iron, the battlefields of World War II, and how many of these football players readapted to civilian life after the war. Curtis’ style reminds one of John Feinstein’s approach in A CIVIL WAR: ARMY VS NAVY: A YEAR INSIDE COLLEGE FOOTBALL’S PUREST RIVALRY as he delves into the personalities and military careers of the coaches, players, and many of the faculty at Oregon State and Duke. Wallace Wade who hailed from Gibson County, TN played football at Brown, enlisted in World War I, and after missing out on combat in 1918 returned to civilian life and became a football coach at the University of Alabama. He was successful and had the reputation of getting the most out of his players, and after winning a national championship moved to coach Duke in 1930. By September, 1941 the Duke’s football team was down to 49 players as with war in the air, 6 players had already enlisted. Alonzo “Lon” Stiles, Jr. the Oregon State University coach grew up in Nebraska and was able to turn a small agricultural school into a major football power. However, by March, 1941 OSU was still seen as one of the weaker teams in the Pacific Coast Conference. Curtis provides a history of the football programs at both schools and introduces the reader to the important players ranging from Don Durdan, the son of a banana farmer in Eureka, CA; Bob Dethman from Hood River, OR, a person who had it all, good looks athletic talents, and strong academically for OSU to Frank Parker, a rambunctious and driven person; to Jack Yoshihara, the only Japanese –American on the Duke squad. After reviewing the 1930s and the eventual war in Europe, the American role in the world before Pearl Harbor, the author focuses on how the United States evolved into “the arsenal of democracy.” Curtis integrates OSU and Duke into his discussion of military preparedness with new courses oriented to technological innovation and military needs, bringing in soldiers to take specialized courses to enhance their military training, along with the standard ROTC programs. Curtis describes the football season for both teams in detail and is able to use certain players and place them in their historical context, i.e., Jack Yoshihara, a Duke player that was interned along with his entire family after Pearl Harbor was attacked. By the first week in December both schools were invited to participate in the Rose Bowl and began practicing and making plans when the Japanese attacked. Lt. Gen. John L. DeWitt was Commander of the 4th Army and responsible for protecting the west coast. DeWitt was an intolerant individual and a racist and the author should have delved into DeWitt’s actions and policies in greater detail, particularly when he opposed moving the Rose Bowl east, and had the FBI arrest Jack Yoshihara in front of his teammates, banned him from playing in the bowl game, eventually moving his entire family from “internment camp,” to “internment camp.” Curtis does present the standard history of how the internment camp policy was implemented, describing conditions in the camps and how Japanese-Americans adjusted. Curtis does detail the plight of the Yoshihara family, as US citizens they still lived in demeaning conditions, having lost their possessions and being separated from Jack. Curtis integrates wartime events into his narrative and how they affected the game and the players once it was moved to the Duke campus. Curtis describes team preparation, the game itself, and what happened to the players following its conclusion. Once the game was completed the author does a nice job dealing with how the war affected each campus. College administrators sped up graduation requirements to allow men who were enlisting or being drafted to complete their education. Further, scientific research became a staple as Nobel Prize winning scientists like Enrico Fermi and Arthur Compton worked on a “uranium weapons program,” the early stages of the Manhattan Project” which had ties to Duke facilities and faculty. Through the eyes of former players Curtis effectively describes the course of the war and the major battles these men participated in. As he does this, Curtis places their experiences in the full context of the war, i.e., when Charles Haynes, leader of the Second Platoon, Easy Company, 349th Regiment, 88th Division deployed to Italy, an allied strategy designed to weaken Nazi defense of Germany by having them pick up the pieces after Mussolini was captured. In fact, Charles Haynes of Duke would run into Frank Parker of OSU on the battlefield, then later Parker would carry the severely wounded Haynes to a medical station. Later in the war Lt. Colonel Wallace Wade, Sr. would come across OSU’s Stanley Czech, a field artillery observer, and of course Czech offered the “old man” a cup of coffee. By constructing his narrative in this manner for the final third of the book, Curtis offers a bird’s eye view of what these football players experienced during the war; fighting in the Ardennes Forest, the Battle of the Bulge, Iwo Jima, Normandy, Guadalcanal, Sicily, and numerous other historical battles, and why the 70 players and coaches that played or coached in the 1942 Rose Bowl who served in the armed forces, less 4 of which had been killed, were treated as heroes upon their return. What truly enhances Curtis’ work are the personal stories he tells concerning how these men readapted to civilian life after the war. Some dealt with the effects of the war well, others not so, but all in all these men made a tremendous contribution to their country. David Maraniss’ ONCE IN A GREAT CITY: A DETROIT STORY is almost a love story or at the very least an ode to a city that has slowly fallen from the heights it had reached in the 1950s. Maraniss focuses on the 1962-1964 period when the city was about to confront white flight to suburbia, the loss of manufacturing jobs, and the ever present issue of racism. Maraniss who is an excellent writer whose works include sports biographies of Vince Lombardi and Roberto Clemente, the foremost study of Bill Clinton’s pre-presidential years, a wonderful book on Vietnam and the anti-war movement among a number of others. Maraniss takes on the city of his birth, an urban colossus held together by the automobile industry and manufacturing after World War II that is in the midst of a severe decline. The decaying city is like a boxer who has been knocked down and is trying desperately to get off the canvas. In 1962 a reform mayor, Jerome Cavanaugh comes to office and launches a courageous campaign to root out racism in the city’s police force. 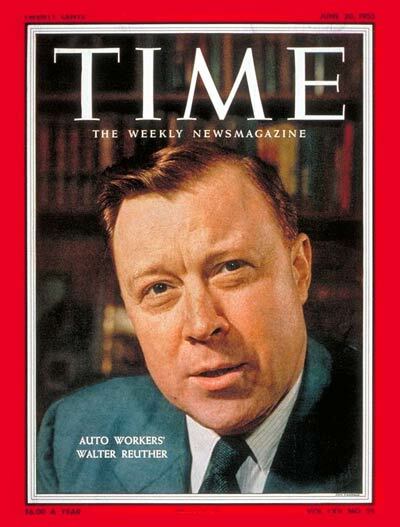 Others including Walter Reuther, the powerful head of the United Automobile Workers Union, who saw segregation through the lens of the Cold War and a threat to increasing progressive unionism worldwide is examined. Reuther was a man of action who tried to create programs and investment to rekindle Detroit’s glory. 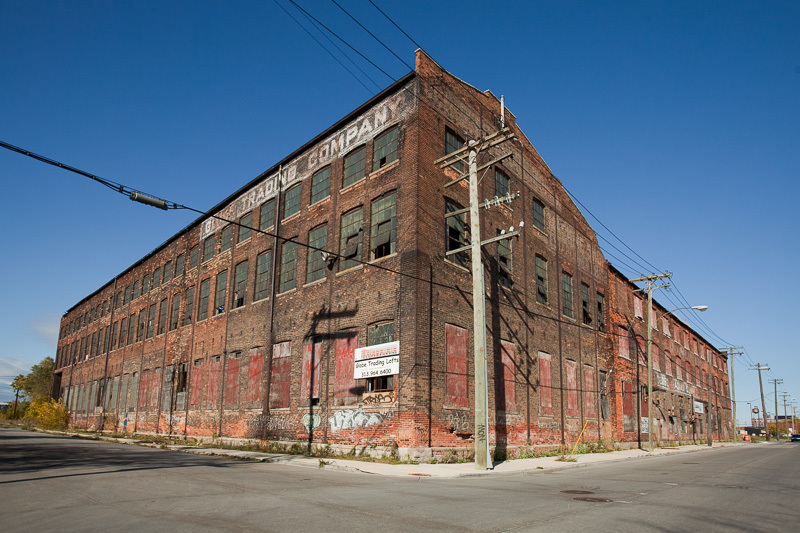 It was an uphill fight, and a timely story as today, Detroit, now much smaller and with a more varied economic approach is still trying to rise from the ashes. The book conveys a number of interesting biographical sketches of important individuals of the period. Maraniss ranges from the automobile industry concentrating on Ford, and the music industry zeroing in on Motown and the empire Berry Gordy, Jr. built providing the reader the feel of the mid-1960s. The reader is also exposed to the grimy side of Detroit as Police Commissioner George Edwards goes after the mob and its gambling ties to the city. His investigation, along with the FBI establishes links to National Football League players and the Giacalone mob family that involves Detroit Lions defensive tackle Alex Karras who will be suspended from playing, and eventually through a sting he arrests Tony Giacalone. Mayor Jerome Cavanagh, a JFK liberal and his quest to bring the summer Olympic Games to Detroit in 1968 is discussed in detail as he tries to implement his progressive agenda. Maraniss used the rise of Martha Reeves and the Vandellas as a template to explain why Detroit was at the perfect storm to develop the Motown sound. From the availability of pianos to middle class black families, the migration from the south of gospel and blues as people came in search of jobs during World War II, the reach of Grinnell’s, the music store that made affordable instruments available, the luck and proximity of random talents like Aretha Franklin, Diana Ross and Smokey Robinson living so close to each other during childhood, and the music education provided by Detroit public school teachers. The role of the Reverend Clarence La Vaugh Franklin is analyzed as he moved from being a theatrical circuit preacher around the country to that of a civil rights leader in Detroit as he organizes a civil rights march, “the Walk to Freedom” in Detroit supported by Reuther and the UAW among others. The march was highlighted by an address by Martin Luther King, and it was at this Detroit rally that he laid the basis for his “I had a Dream Speech” given later that summer in Washington. Overall, the black community throughout the time frame of the book is beset by a power struggle and division as Franklin is not able to maintain the unity of the rally and Reverend Albert Cleague moves toward a black liberation theology bent on dealing with the problems faced in Detroit. Cleague will go so far as inviting Malcom X to speak to his supporters providing evidence of the total rift that existed as King was derided, and that there was no way to close the factionalism that emerged. Maraniss also explores the relationship between Lee Iacocca, the head of Ford and J.Walter Thompson, the advertising firm that was to modernize Ford’s image as 1963 approached. The campaign would be headed by William D. Laurie, the head of the agency in Detroit and the epitome of the “Mad Men” mystique. The project was T-5, and after the bust called the Edsel, Iacocca needed a success. 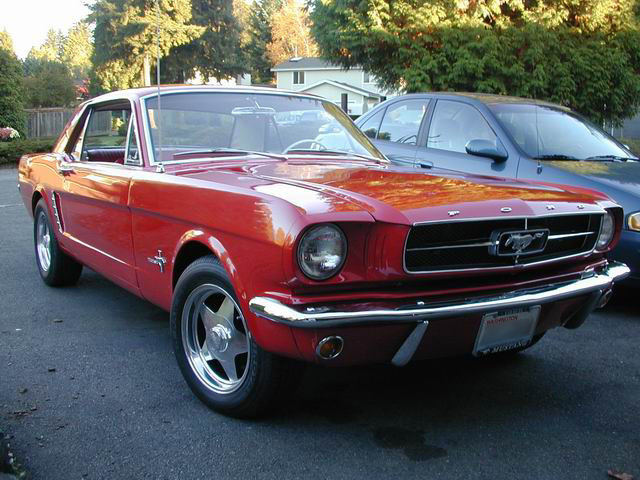 The success would become the Ford “Mustang,” whose development Maraniss details concentrating on the relationship between Henry Ford II and Iacocca. Maraniss also conveys the importance of Ford and Walter Reuther focusing on their ability to negotiate and reach agreements that allowed workers to think of themselves as middle class as they received pensions, health insurance, and wages connected to an inflation index. The work of these two men was important to the labor peace of the mid-sixties and their impact was throughout the industrial universe. Perhaps the most evocative topic is that of the development of Motown and the music industry and how it was spawned. Concentrating on the Gordy family and its contributions, Maraniss focuses on Berry Gordy, Jr. and the Motown review, a stage show of some of the future stars of music including Smokey Robinson and the Miracles, Diana Ross and the Supremes, Marvin Gaye, and Martha Reeves and the Vandellas. The review left Detroit on a 56 day tour on the day the United States instituted its embargo of Cuba during the missile crisis of October, 1962. Maraniss effectively transforms the trip into a discussion of race in America as the group experiences segregation throughout its journey. Traveling all over the Midwest, south, and winding up in New York City Maraniss integrates the black migration north for jobs beginning in the 1930s, the reaction of whites who felt they were taking their jobs, race based actions by white police forces, and the violence of black youth. Racial fearmongering was a dominant theme and the issues that were prevalent during and after World War II were ever present as the tour wound on while the Civil Rights Movement was in full gear. What emerges from the tour is that music is another Detroit export that impacted America second only to the auto industry. Maraniss is careful to point out at a time when Detroit was booming a Wayne State University study in February, 1963 predicted the collapse of the city as it declared bankruptcy in 2013. The study pointed to the reduction of the city’s population from 1,670,414 in 1960 to a projected 1,259,515 in 1970. It also highlighted the white flight to the suburbs as blacks made up 28.9% of the city’s population in 1960 and a projected 44.4% in 1970. The result of which would be a population whose tax base could not pay for its needs as by 2013 the population would be 688,000. But what is fascinating at the time of the report automobiles were selling at record levels and the city was selling itself as the home for the 1968 Summer Olympic Games. “By the close of Mr. Maraniss’ book, dreams of hosting the Olympics have been scuttled; urban renewal has uprooted many traditional, predominantly black neighborhoods; police reforms that might lead to greater racial harmony have stalled; and efforts to transform the city through Model Cities and War on Poverty programs have run aground, fueling tensions that would explode in the 1967 riot.” (NYT, September 14, 2015) A riot that would kill 43 people, injure another 1189, result in 7200 arrests, with the destruction of over 2000 buildings. If you want to relive the essence of the mid-1960s, Maraniss’ new book, with its emphasis on Motown, the Ford Motor Company, race relations and the civil rights movement, politics and much more is an excellent synthesis of the period. It reflects Maraniss’ approach to narrative history, impeccable research and mastery of topic that will not disappoint. Read it and enjoy.